Where’s the perimeter? 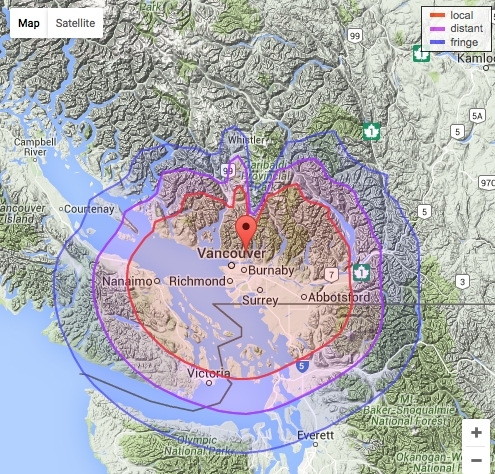 Where does the psychopoleconomic entity that is “Vancouver” play out? What lies beyond? How far do I have to go to break free of its gravitational pull? 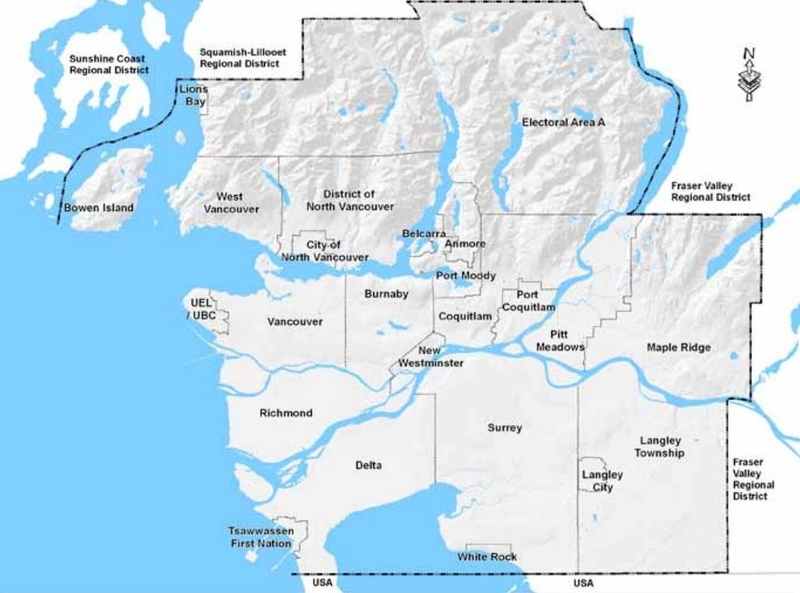 Politically and bureaucratically, Vancouver extends out to the confines of Metro Vancouver –the Greater Vancouver Regional District- an area comprised of 24 local authorities –cities, municipalities, townships, the University Endowment Lands, and that vaguest of constructs, “Electoral Area A.” By this reckoning the edge is marked by Bowen Island and Lions Bay, the nether reaches of Maple Ridge and the Township of Langley, and the US border. However, like too many official demarcations, it’s artificial, ignoring well-established links to other communities and coherent as natural boundaries. It’s too tightly packaged and constrained. 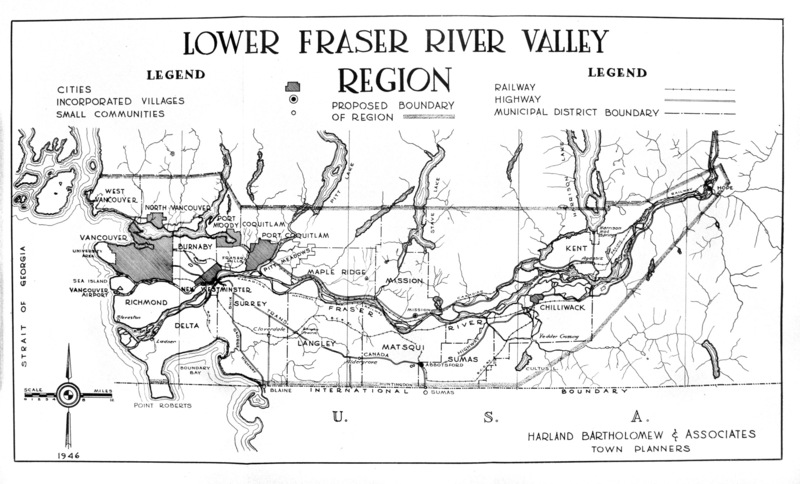 It’s imprecisely defined, but the “Lower Mainland,” or the Lower Fraser Valley, generally covers the swath from Squamish to Chilliwack. This offers a certain coherence, bookended as they are by First Nations place names, and naturally excluding those distinct others: Whistler and Hope. (We are, definitely, this side of Hope.) Chilliwack in particular resonates nicely with Ethel Wilson’s Swamp Angel, being the initial rest stop for Maggie Vardoe’s escape from a loveless marriage to a real estate agent. However, too much is missing. Whither the near-by-ferry: the Sunshine Coast and the Gulf Islands? What of the communities just south of the border? 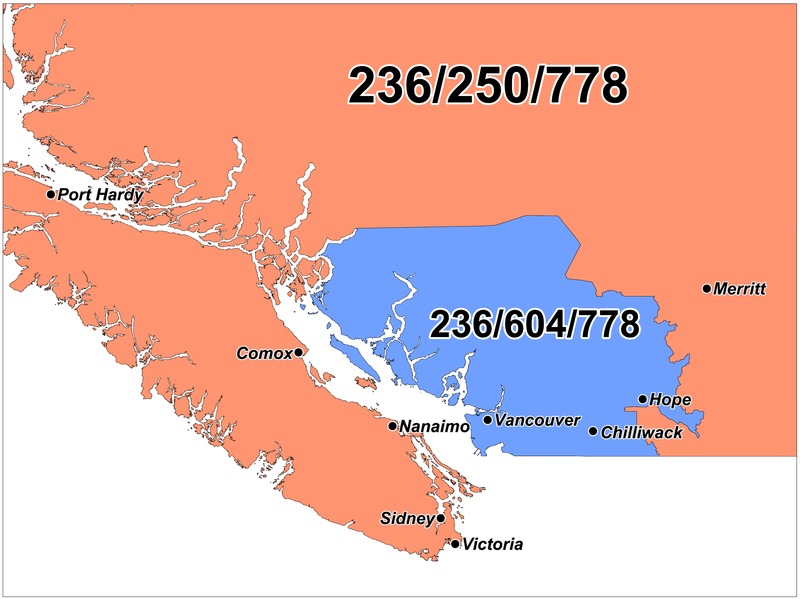 The geography assigned to the 604 area code is way off. Aside from being defined in an office by people wearing ties, its both massive -reaching from Desolation Sound to beyond Hope- and omits so much that’s nearby; again, there’s the border. It’s simultaneously too big and too small. I’m want something organic, a system that transcends municipal and international borders and bodies of water, but respects distance. I find it in FM radio, the footprint circumscribed by local radio broadcasts. It’s the very high frequency voice of the metropolis, invisible, but physical over virtual. A sphere produced by economics and regulation, but an imperfect one, flattened and deformed by local circumstance. There’s a consistency, too: with most transmission towers located on Mt. Seymour, the footprints of Vancouver’s FM radio broadcasts are virtually identical. With Squamish, Chilliwack, Nanaimo and Bellingham within reach, and Whistler, Hope and Victoria beyond, there’s a symmetry and balance –the periphery may lie a bit far by road or ferry, or the political hurdle that is the border, but as the crow flies not far at all. The area described as a “local” signal corresponds exactly to my own free form and long-term research conducted by the limited receiving capacity of a car antenna. Driving south on the Pat Bay Highway on a return from Vancouver to my then-home in Vitoria, the CFMI signal craps out completely halfway down the Saanich peninsula, somewhere around Keating Cross Road. The switch over to 100.3 serves as a confirmation that I cross a boundary. Because of FM’s line-of-site broadcasting, the complex topography of the geography means that not all stations can be heard in all places. This makes for interesting idiosyncrasies. While Horseshoe Bay is virtually a dead zone, it’s possible to enjoy a crystal clear edition of low wattage CFRO’s Royal Aloha Mondays program on Saturna. Within this ephemeral space, physical connections are being forged. The writhing mass of turgid economics is growing in mass, extending its reach -it’s capital- out, to the edges. There’s another attempt to realize a foot passenger ferry service to Nanaimo. 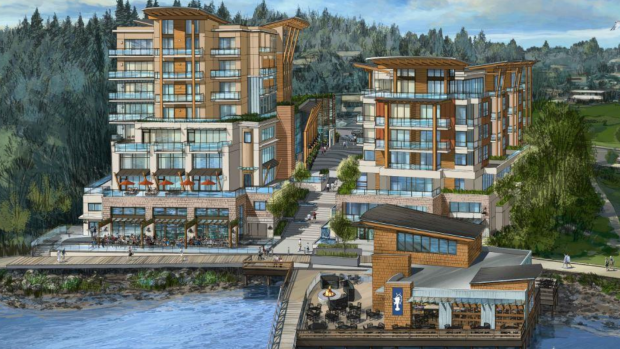 Will this be the lucky one, the enabler of the Harbour City’s long-sought aspiration of bedroom community to the metropole? And Gibsons -Gibsons Landing, to be precise. In my TV-damaged imagination Gibsons is far away, apart. It isn’t. Gibsons lies fully exposed, to everything from FM radiation to the dreaded turmkrankheit: the tower disease.